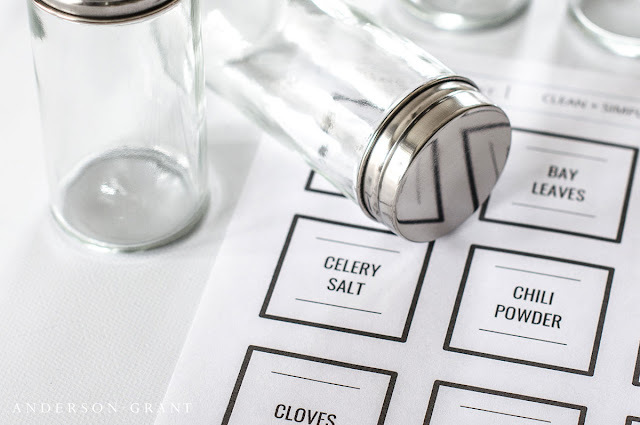 Learn tips for cleaning out your spices in the kitchen, and download some free printable labels for your jars. The beginning of a new year is the perfect time for taking out the old and bringing in the new. And there is no better place to start than the spice rack in your kitchen. Unlike most of the foods you have stored in your cupboard, spices do not actually spoil. But, their flavor and potency will disappear over time. After awhile, the spices may not season your food with the same intensity and could even add an undesirable flavor to your dish. Nobody wants to see that happen. Cleaning out your spices during the start of every year is a good habit to initiate. That way, you don't forget when you did it last. And when you purchase a new spice, be sure to add a label to the bottom of the jar as a reminder of when it was opened. Begin by taking an inventory of what spices you have and actually use and those that are old or used infrequently. You may want to just dispose of the later and create more space for organizing the ones you reach for the most. Check to see if your spices are still fresh. They should smell strong, taste potent, and have a rich color. On average, ground spices like cinnamon and nutmeg last six to nine months after being open, while whole spices like cloves will stay fresh for two years. Unopened, both types last about three years. All spices stay fresh longer when stored in airtight containers away from heat and light. For that reason, the worst places to store them are next to the stove, oven, or windows. Wipe off the spice bottles and refill them if needed. If you see that there are multiple jars of the same spice opened, you may want to combine the bottles. A mini funnel is helpful in transferring the spices from jar to jar. And finally, label everything clearly. You may want to invest a little in purchasing matching spice jars. 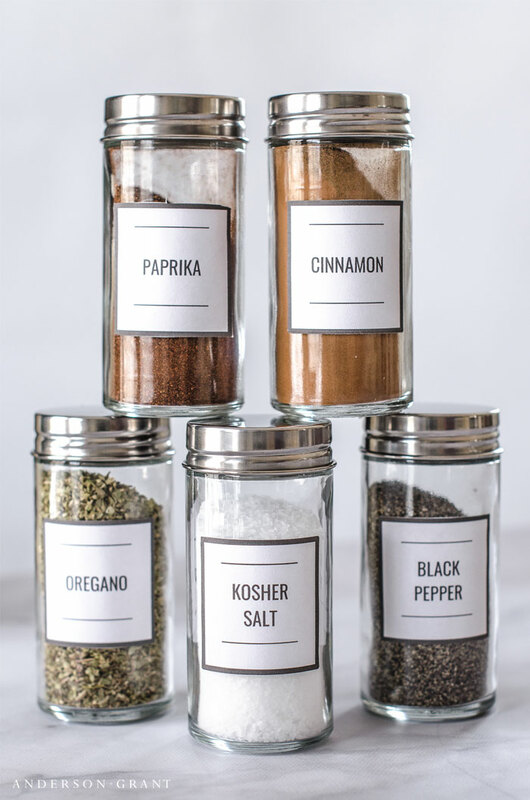 Having your spices organized in identical jars with matching labels can instantly clean up the look of your kitchen and make finding what you want easier. 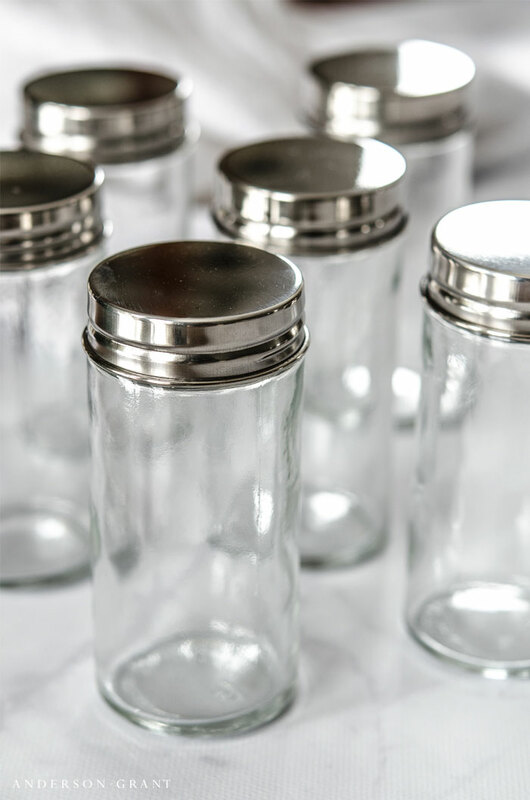 Different sized jars with a variety of labels creates visual clutter and makes storage more of a headache. 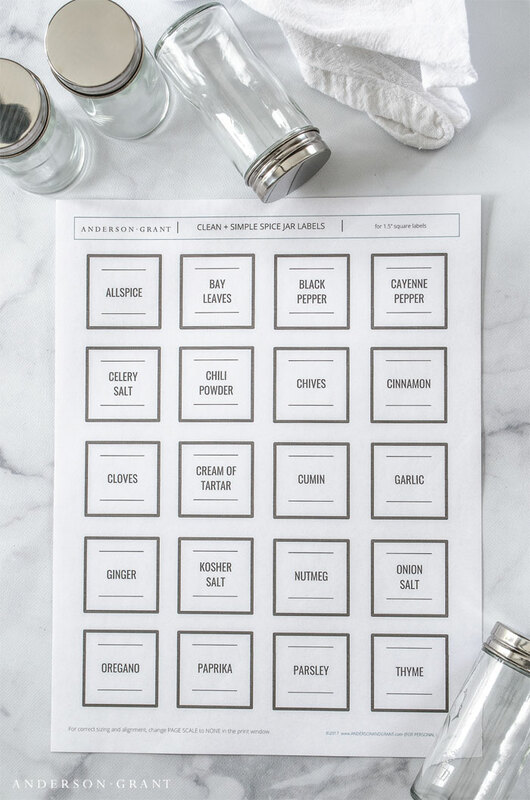 To help you along with the organizing process, I'm offering some free printable labels that include many commonly used spices. If you are an avid baker or cook and find that you have more spices than are included here, you can order a custom made set from my online shop. 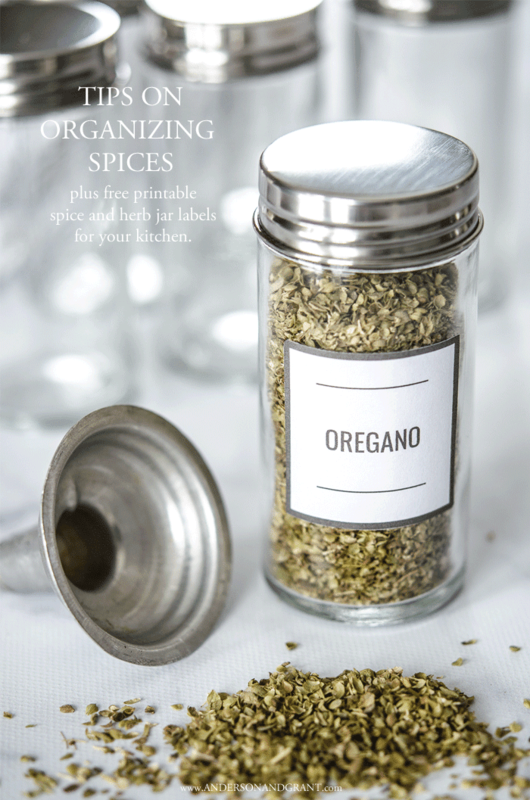 Most premade or free versions do not have spices like garam masala or cardamom, so having something custom made is nice for staying organized and bringing a cohesive look to your kitchen. There is no single best way to organize you spices. What's important is that you have a system that works for you and your family. 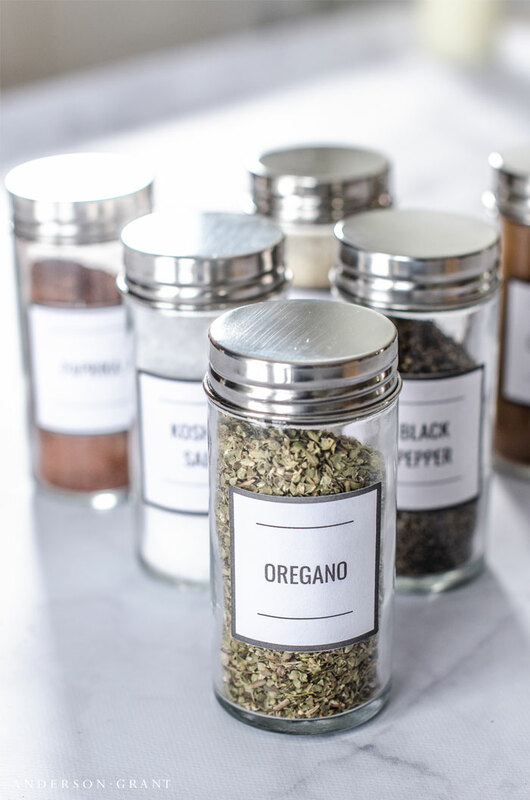 I hope that these clean and simple spice jar labels can help you create a little visual harmony in your kitchen and get you started on a year of organizing your home. Soon, I'll be sharing a set of pantry labels that coordinate and will make your kitchen labeling needs complete.